Luxury 4 Bed,Villa + 2Bed. Cottage in same grounds.Large Pool +Garden. This first time offered Villa / Cottage both, in the same grounds, with a stunning swimming pool, and landscaped tropical garden. Is a bargain, awaiting to be captured now! 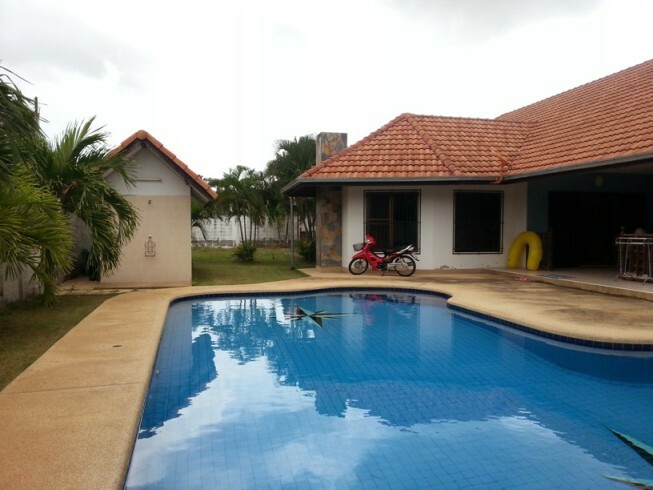 1)	A Luxury : 4 Bedroomed Villa, with large swimming Pool, waterfall, Jacuzzi. 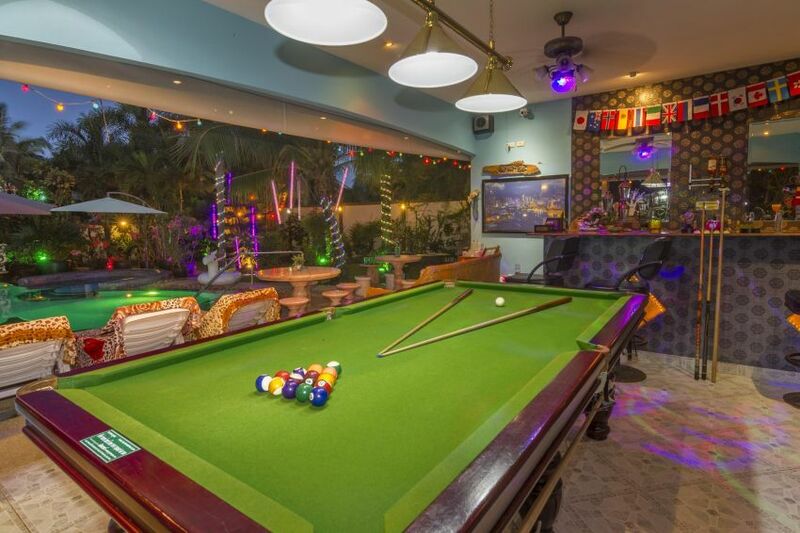 Swim up bar,& Sala Bar with Pool Table/ Snooker/Football Table. 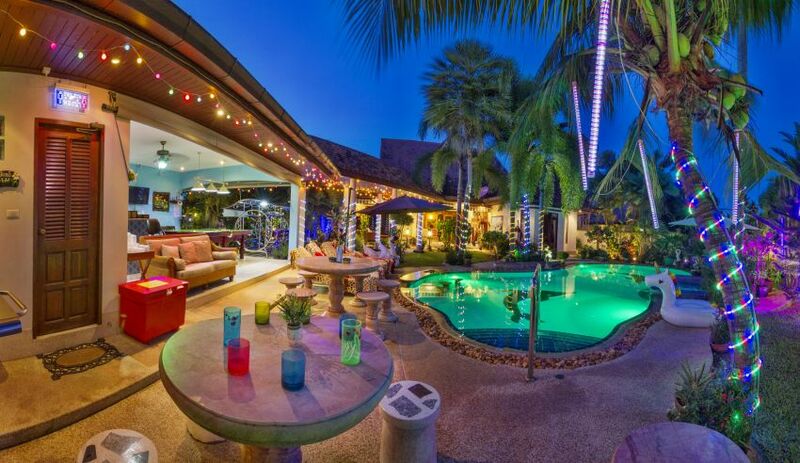 The Villa is set in large, tropical planted grounds of 1400 Sq. MT’s,( In a coconut plantation) and 400sq Ms. living space. A brief description is: For PRIVACY? The Villa has a very large garden, & the 8 mt.x 5 mt. 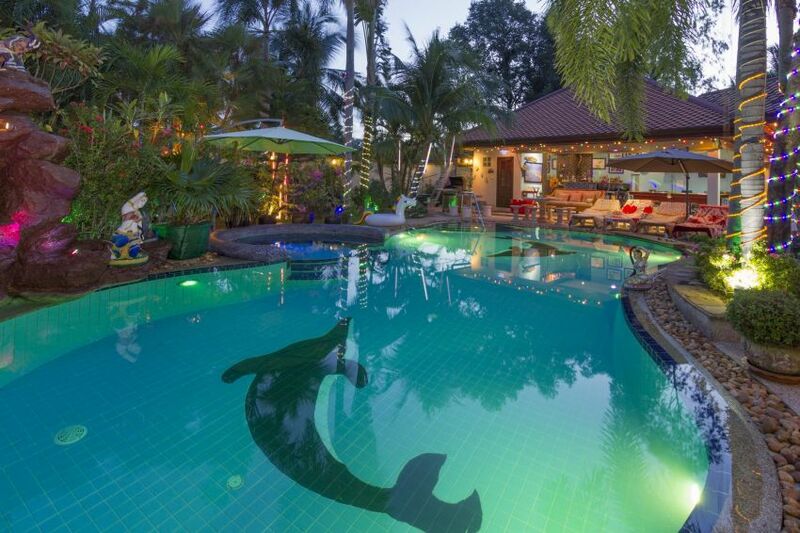 swimming pool is completely private, no neighbours, not overlooked by anyone. Surrounded by a tall 8' Wall ( nightly Illuminated) Situated only 12 Kms. 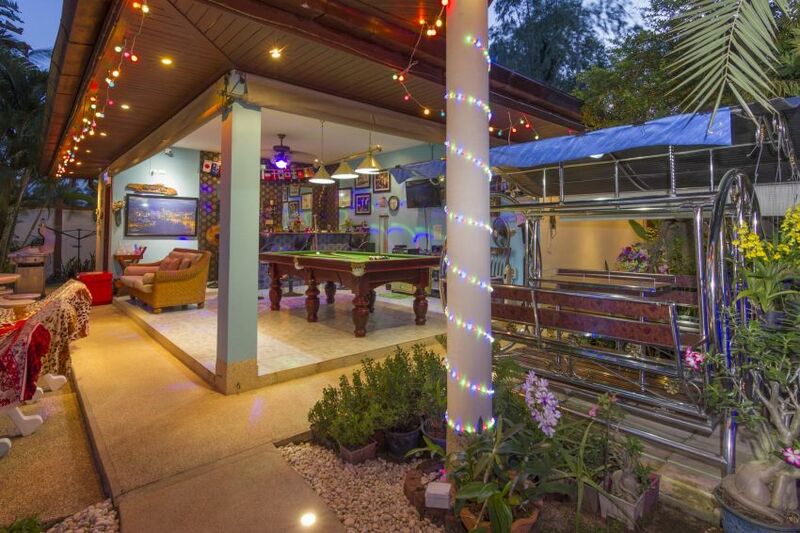 (15 Minutes) from central Pattaya, with a direct motorway link into town. The motorway is only 2 Kms. from the Villa. 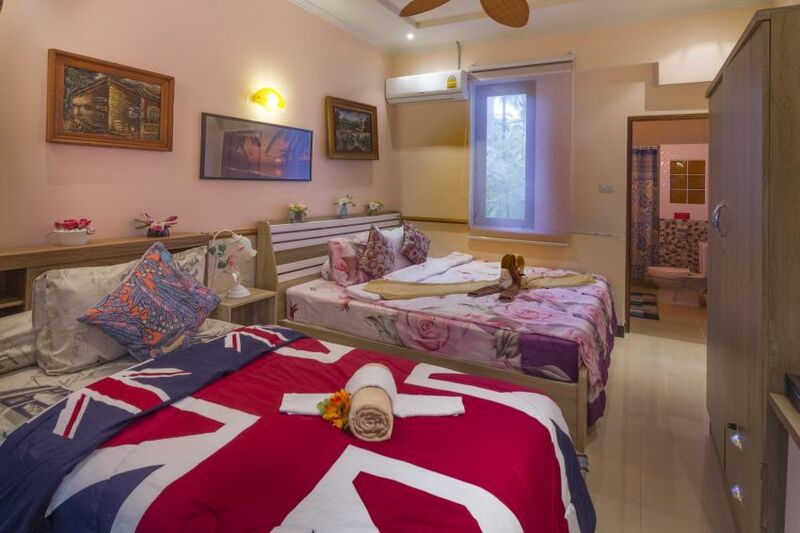 The Villa has 4 large bedrooms all having on suite facilities, all have air-con units, & overhead fans. + smoke alarms Sleeping many adults/Children in our 4 very comfortable bedrooms. The bedrooms all have air-con units + T.V. & DVD Players. The lounge has 2 air-con units, Sat T.V. (55”) Blue Ray DVD. The Villa has an alarm system. Also, a safe, (large enough for a laptop to be placed inside).The Car parking area has space for 4 cars. Private and very secure. ( Electric Gate) Enjoy the outside sitting area for watching TV, or eating, or drinking a cool beer, in the Bar Sala. A new Pool Table has recently been added for entertainment. Listen to your favourite music played on the new music centre, or sing- along to Karaoke.) with the surround sound system. 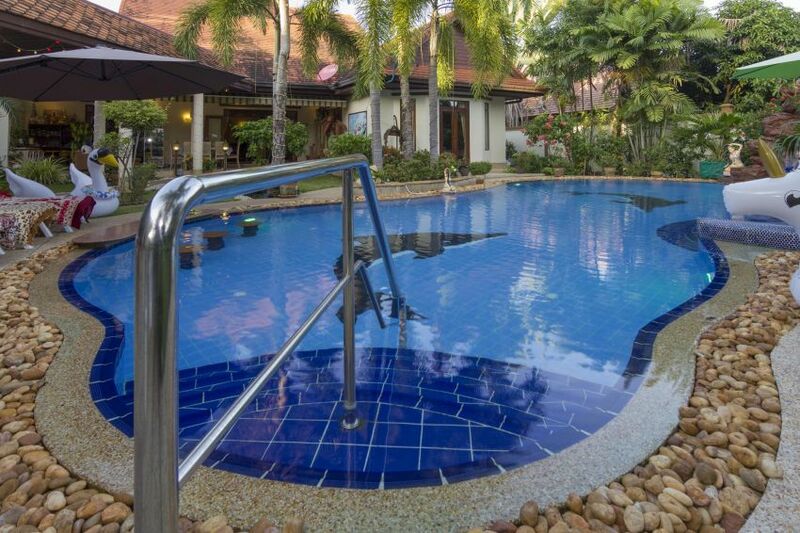 4 Sunbeds are provided by the swimming pool, also a large umbrella for shade. The swimming pool is the main feature of the garden; it is very large 12mts x 8mts with a circular sit-down Jacuzzi (sun Shade over). The pool is children friendly, with a shallow area 3’-6” depth, covering an area of approximately 3 mts. by 8mts. 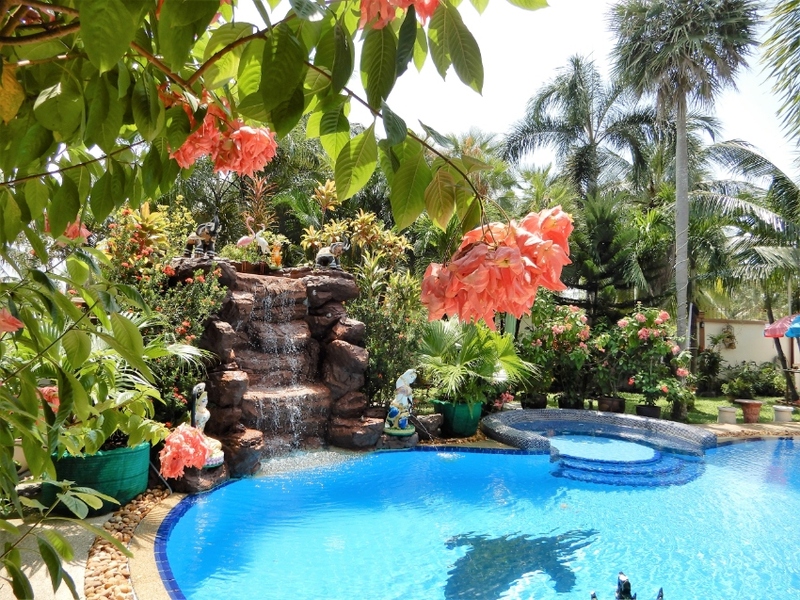 Cascading into the pool is a stunning 12’High waterfall & a swim up bar, with stools in the water. In the evenings the garden is illuminated automatically, with lights highlighting the lovely tropical foliage. The swimming pool has LCD lighting underwater, also waterfall coloured lighting. There is also an outdoor toilet, changing room, and a heated shower. 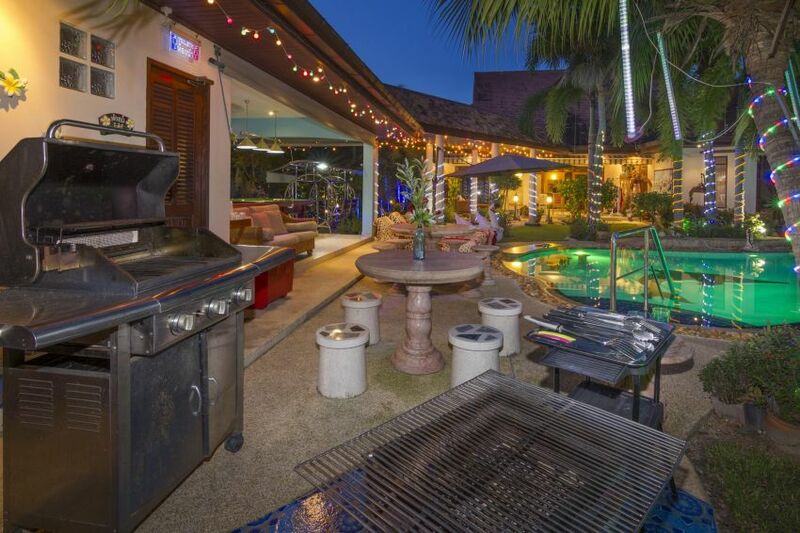 Also, there is a BBQ area with 2 BBQ's and a washing area for utensils ( under cover) Inside the property the Kitchen is a very modern American style spacious room, with all white goods supplied, oven: Gas hob: Fridge Freezer: Microwave: Oven ;cool drinking water machine. 4-way Toaster, a cooling wall fan unit, also a breakfast bar. Enjoy the Wireless internet facility, high speed, having 50mps download speed, and is accessible in all the rooms, and garden area. There is also many additional items included in this sale, including all furniture, kitchen utensils and white goods. If you are genuinely interested, please contact me for information? Lounge with air-con: over- head fan: True visions T.V. decoder; wireless INTERNET+ furniture. 1 Bedroom with a King size bed, + Air-con & overhead fan. 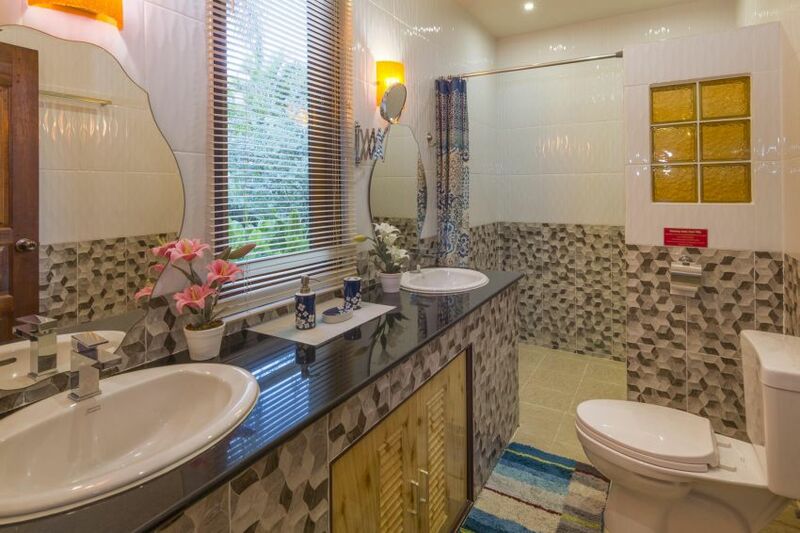 A Bathroom with heated Shower, and separate toilet. Wash hand basin. Kitchen, with all necessary cooking utensils. 3 Store rooms, Plus a Tool room, with attic storage over. An Outside Yard, for additional storage. The cottage is completely isolated from the main Villa, with a large wall and locked gate. This cottage would suit a situation for a detached Granny Annex, for your family to enjoy, and be close to the children! Or visiting friends to stay! 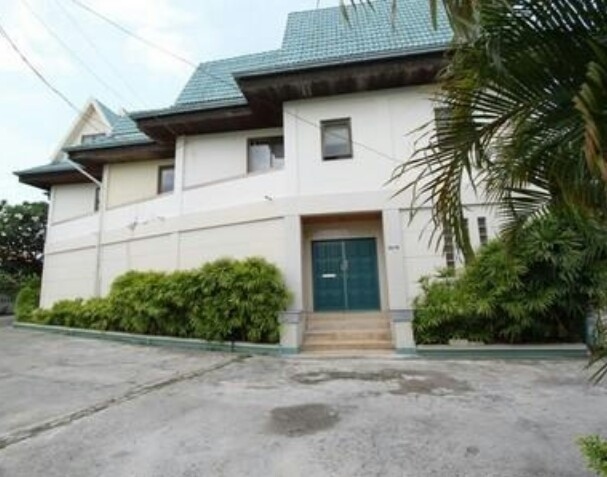 This Villa has been reduced from a starting sale price of 27.5 Million Tb.To the give-away price of now less than 15 Mill. Tb. 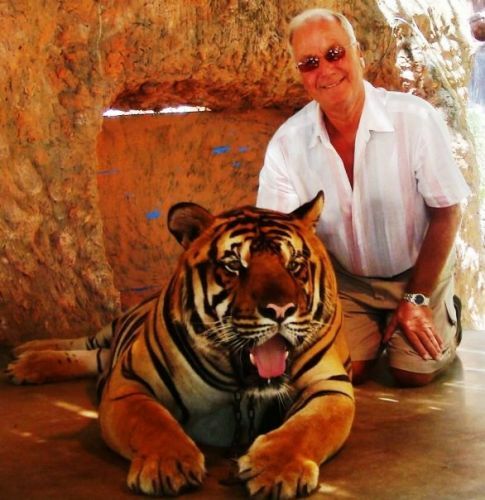 Any person thinking of owning a Villa in Thailand close to all amenities, with everything " This is it". Must be seen to be appreciated, viewing is no problem. Owner Ray : 087 8168524. Please contact Ray, for further information? 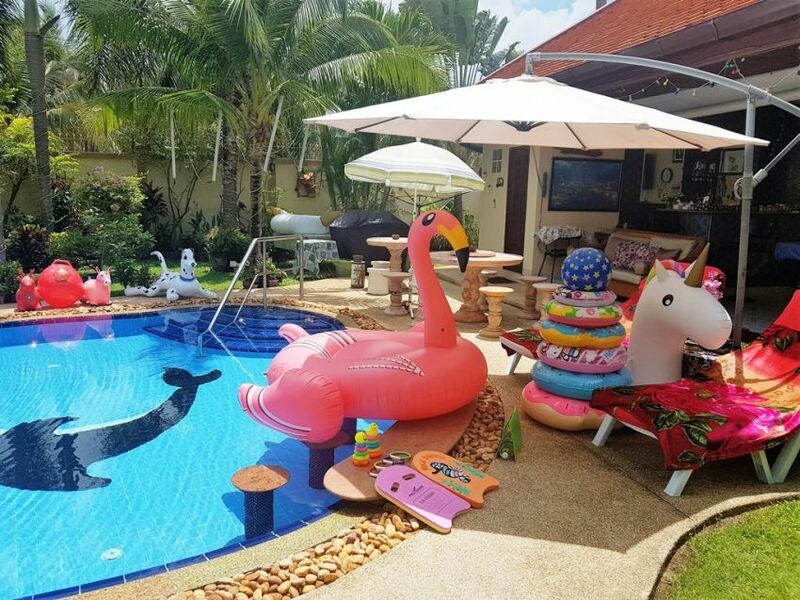 ID:2382 Nicely presented 3 bedroom 4 bathroom pool villa located in the Baan Natcha secure village off 3rd Road South Pattaya. Large modern European fully fitted kitchen, two bedrooms upstairs and the master bedroom downstairs. Spacious living and dining area with guest bathroom. 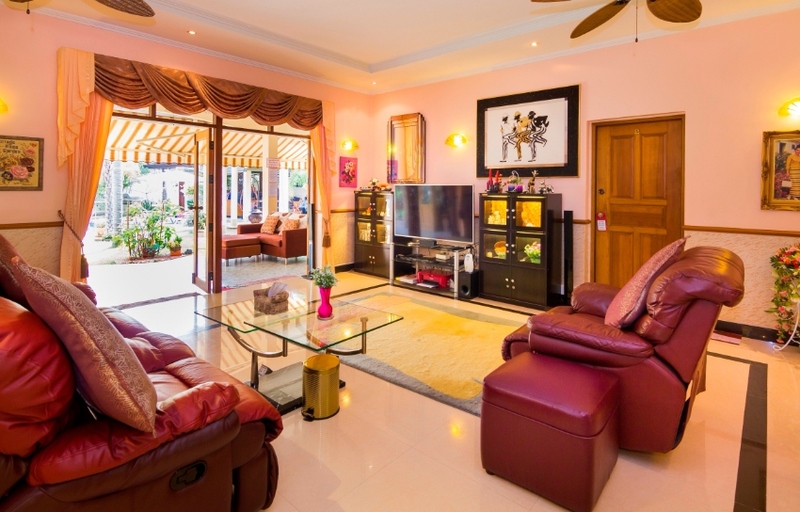 Fully furnished with modern furniture and fixtures. Lovely large balcony with overview of tropical garden and swimming pool. Thai name ownership. 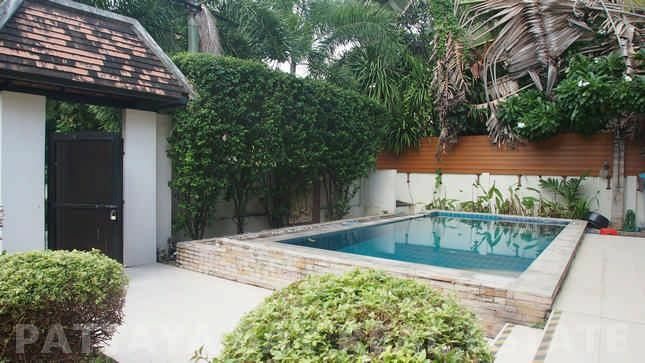 Outstanding location - one of the few available up-market secured villages on the beach side of Sukhumvit road. Big C shopping Centre only a few minutes with Central Pattaya and the beach only 5 minutes. 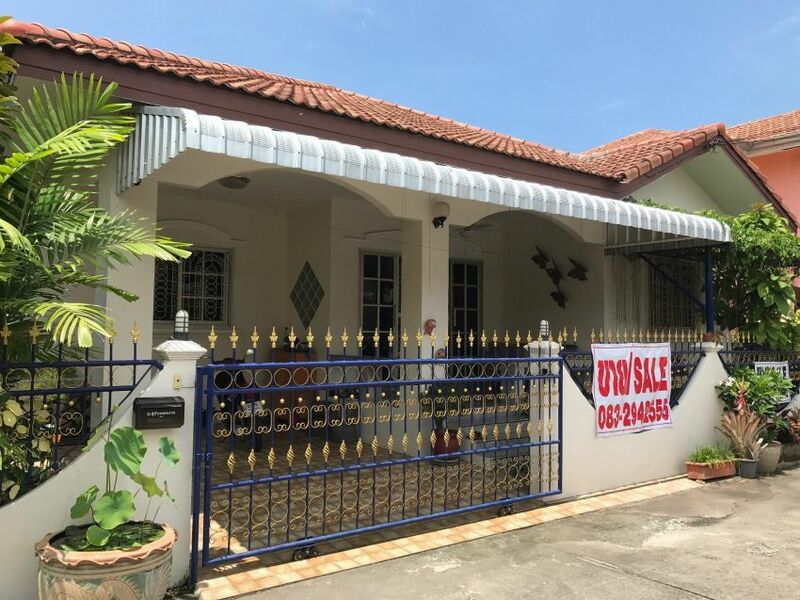 Quality home in a great location. 3 bedroom, 2 bathroom one story house in Wonderland village. European and Thai kitchen. 3 A/C. Community with guard and swimmingpool/club house, newly refurbished. Nice safe and quite area. Report Advertiser: Luxury 4 Bed,Villa + 2Bed. Cottage in same grounds.Large Pool +Garden.